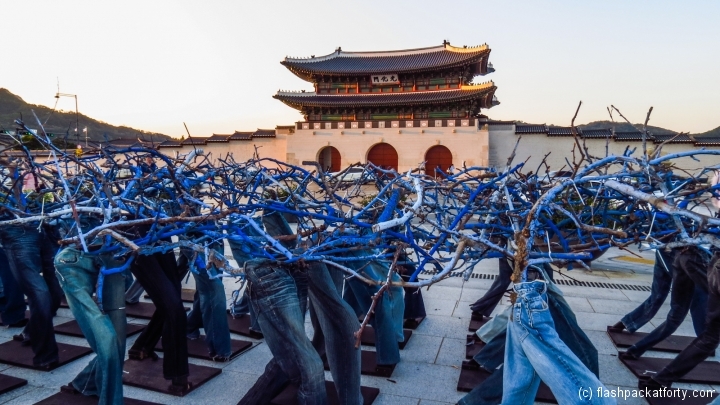 Seoul is a city full of culture, the old, the new, the modern and the downright quirky. 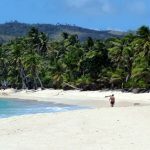 The people here enjoy life, they work and play hard. 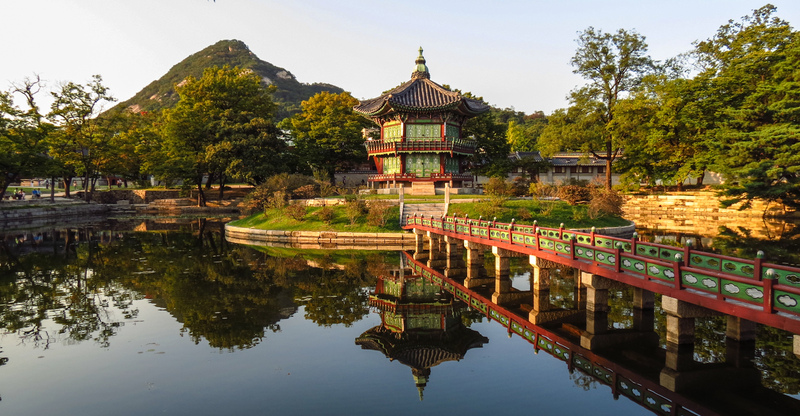 As a tourist, in between munching your way through some delightful food and shaking off last nights soju or makgeolli hangover, you can grab a travel pass and explore the many wonderful sights of Korea’s capital city. 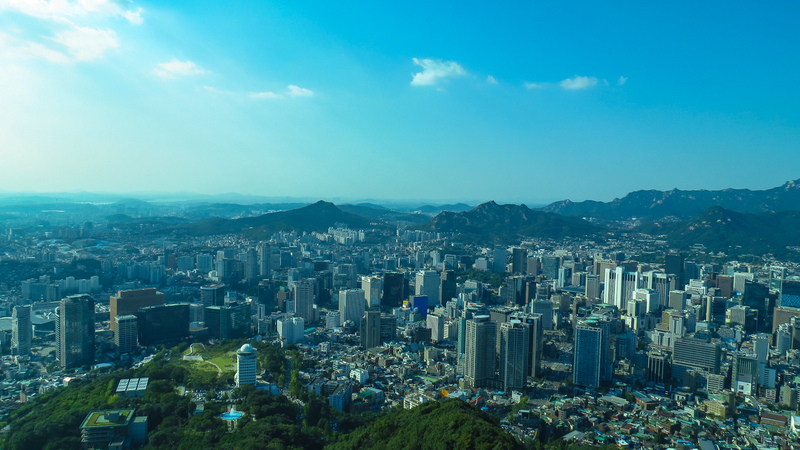 There is plenty to do in Seoul, and its easy to get advice and tips from locals, or the excellent English speaking tourist information service, who you can telephone and they promise to answer any question you may have. 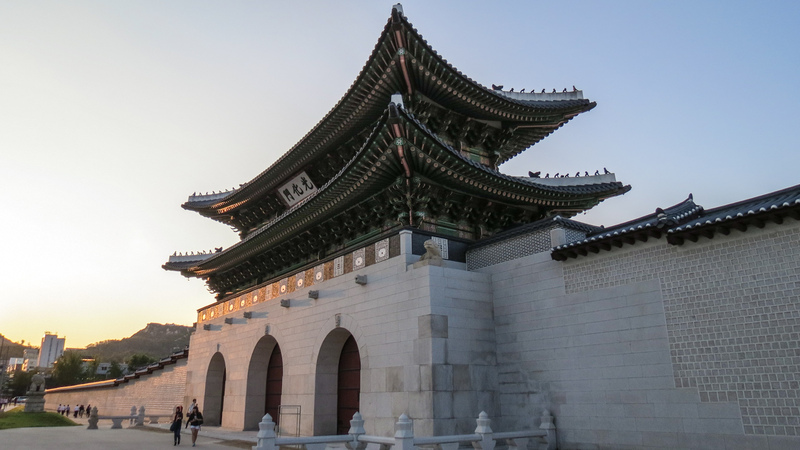 Here is a list of some of the things we did, on our first time visiting Seoul. 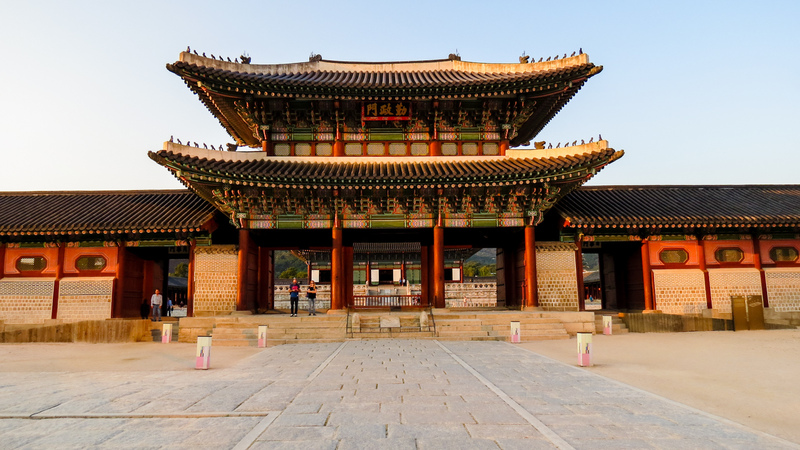 This is one of the grandest and most famous palaces of the Joseon era, which ruled over Korea until the 16th century. 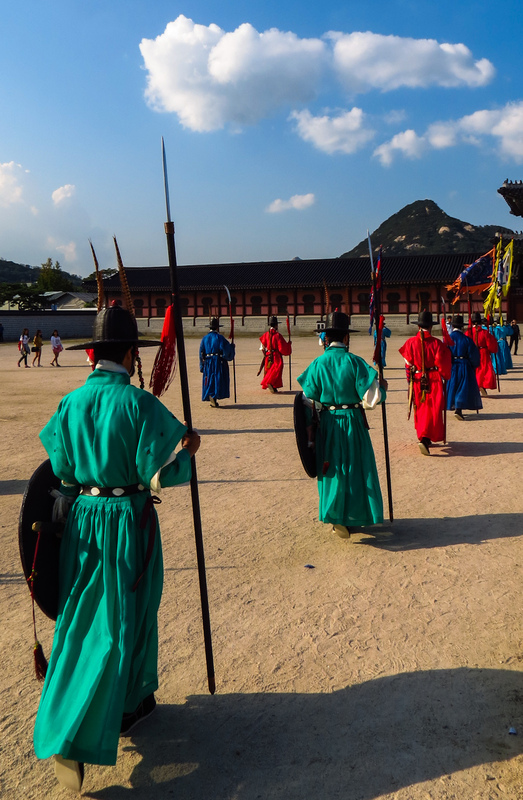 The palace grounds are vast and you need to leave yourself at least three or four hours to spend wandering inside in between all the buildings and have time to see the National Folk Museum of Korea and Joseon Palace Museum. 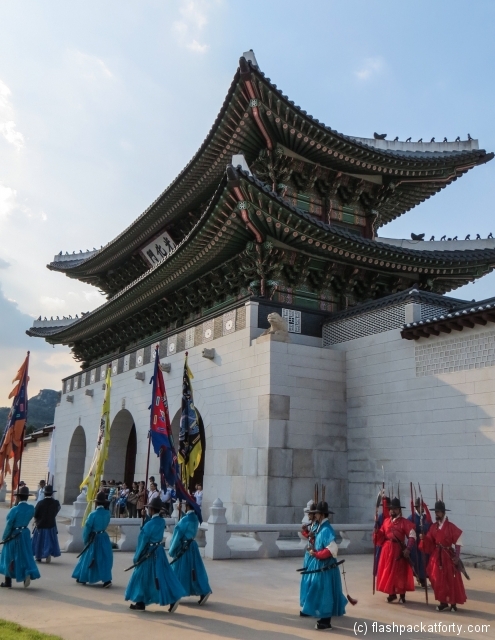 If you walk right through the palace grounds you will emerge from the northern gate which from where you will be able to view the Cheong Wa Dae (or the blue house named after its blue roof). The house is now the presidential palace and is heavily guarded by both uniform and plain clothes guards wandering about. 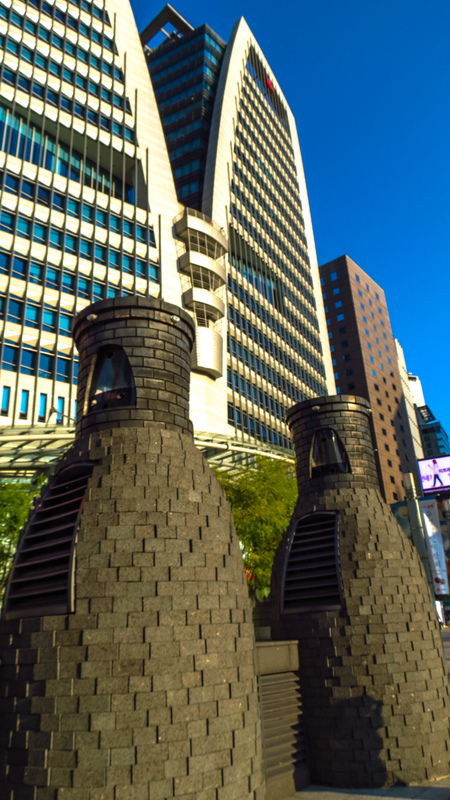 The buildings have been restored many times since they were raised to the ground by Japanese invasions in the 16th century and again in 1910. 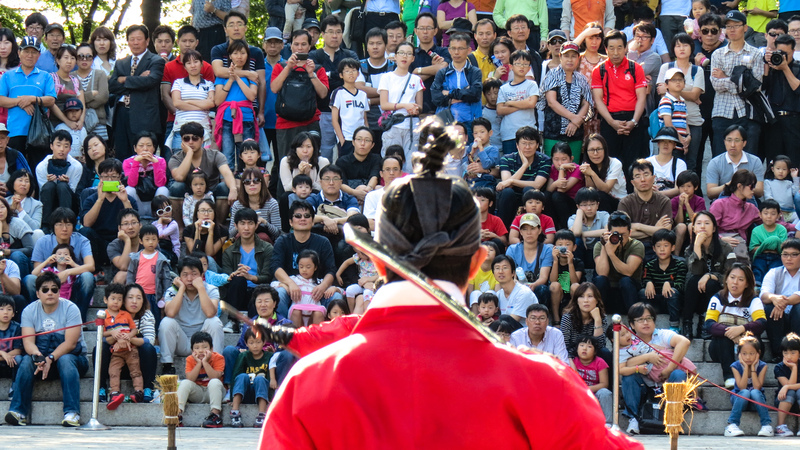 There appears to be no love lost between Korea and Japan. We found many similarities between these two great countries, but also many differences. 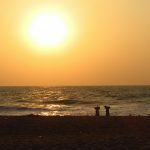 To explain further would require a post of its own, so why not visit both and discover for yourself instead. 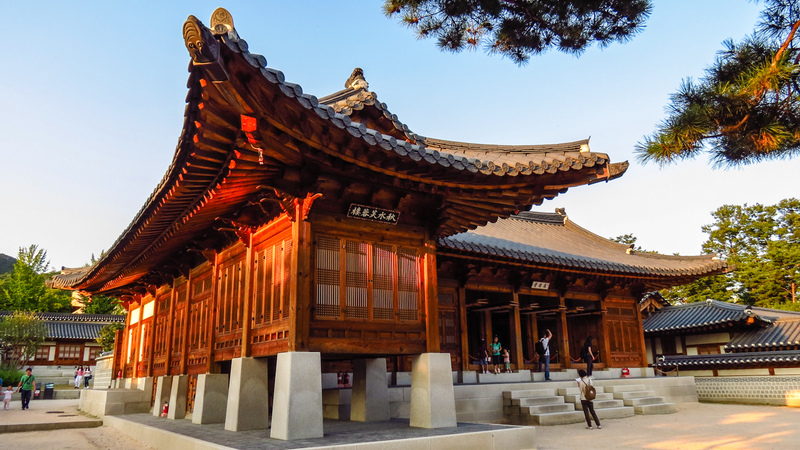 The entrance fee is 3000 KRW (US$2.25) and is a real bargain as you also get free entrance to the museums too. 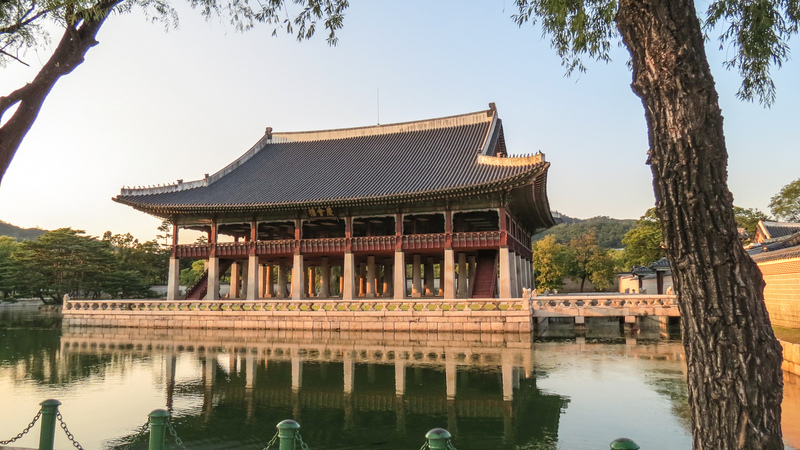 It is closed on Tuesdays, but the other main palaces close on Mondays, so you can always find a palace to visit whatever day you visit Seoul. 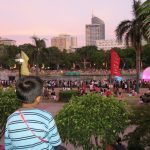 Once you have had your fill of the palace, you can wander back through the grounds and emerge onto the large boulevard of Sejongo. 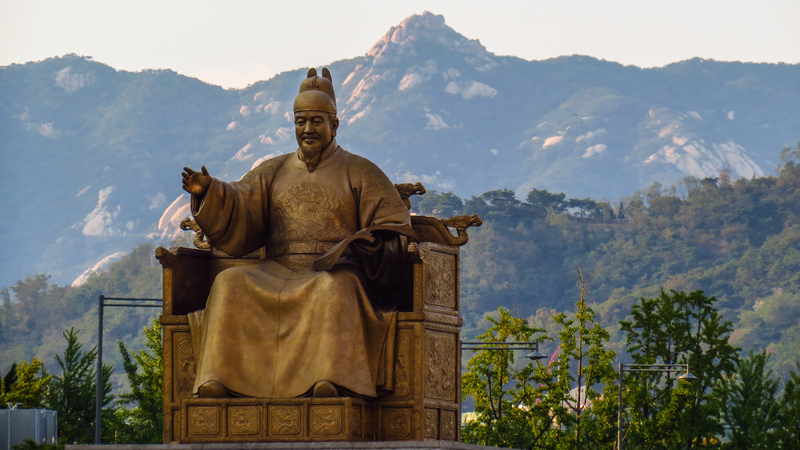 Where you find statues dedicated to King Sejong and Admiral Lee Sun Sin. 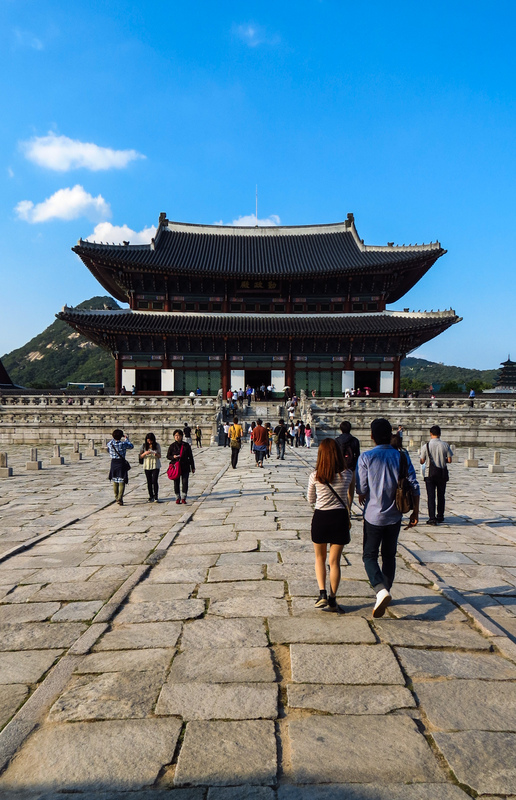 The central pedestrian walkway is very popular with locals and tourists. While we were here there was always something going on around the fountain square. We saw street performers, had the chance to dress up in Korean traditional dress for a photo snap, and witness a modern art and fashion exhibition… all for free. 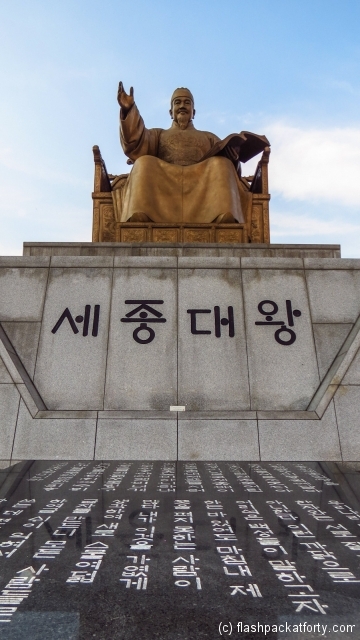 One thing that is easily missed is the museum underneath the statue of King Sejong. 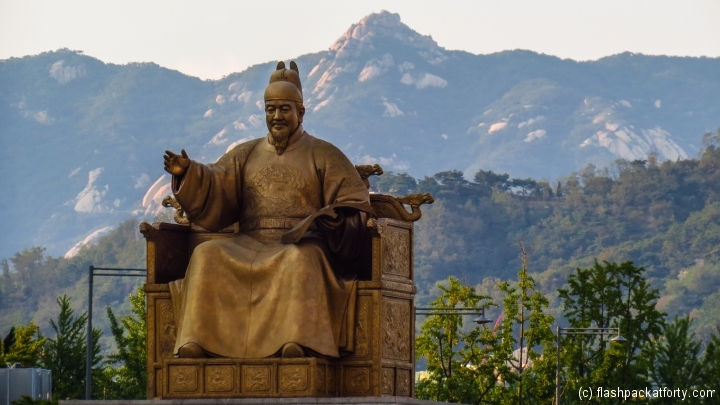 If you walk to the north of the statue you will find an almost secret hidden entrance that will lead you down to a fascinating (free) museum which depicts the story of King Sejong. It’s a great interactive and informative exhibition on the history of this most revered King of Korea. The north end of the street is flanked by the large American Embassy and the Sejong Centre which is the main arts epicentre of Seoul with music, theatre and art performances in its many halls and theatres. As we reached the end of Sejongo, we took a short detour to check out City Hall. I wrote about this stream, in our last Korea blog about Seoul. 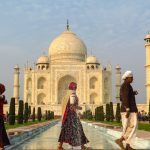 I would urge you to walk at least half of its length during your stay here, as it is a beautiful piece of modern architecture. 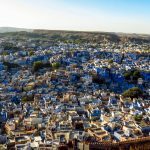 At the time of building it attracted much criticism. 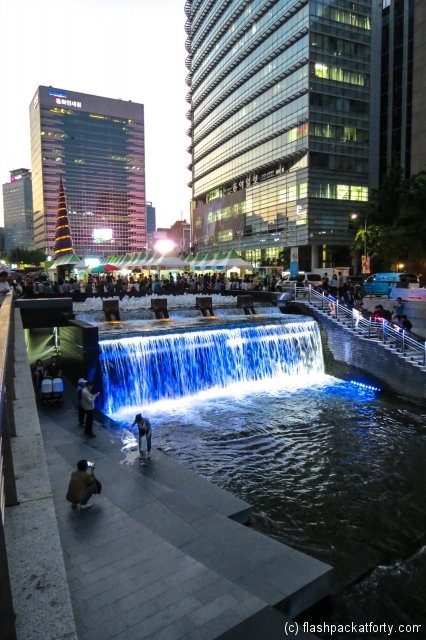 The Cheonggyecheon has now clearly been taken into the hearts of Koreans judging by its popularity. 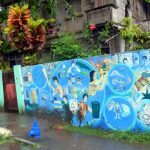 We spent a couple of different nights here watching the local bands and street entertainers, or just wandering down the stream banks enjoying city life. 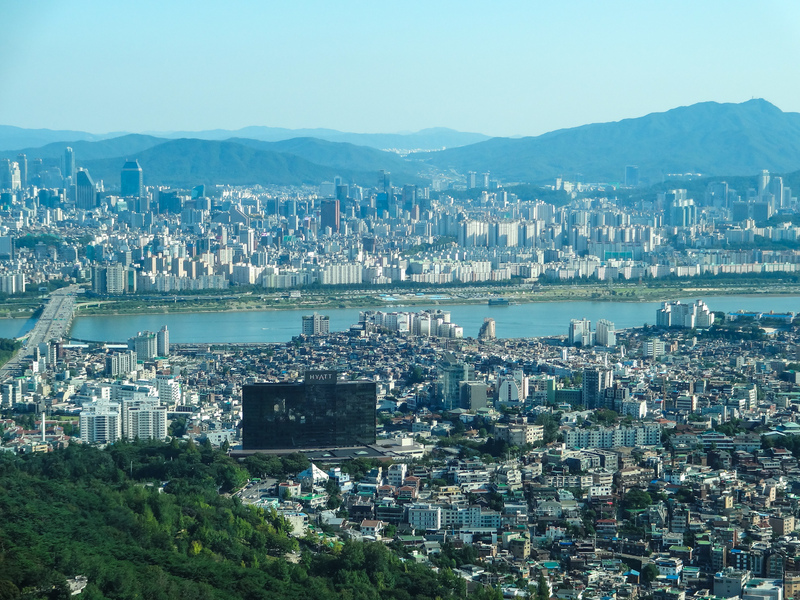 Well done to the Seoul politicians for having the tenacity to go through with this expensive reclamation. 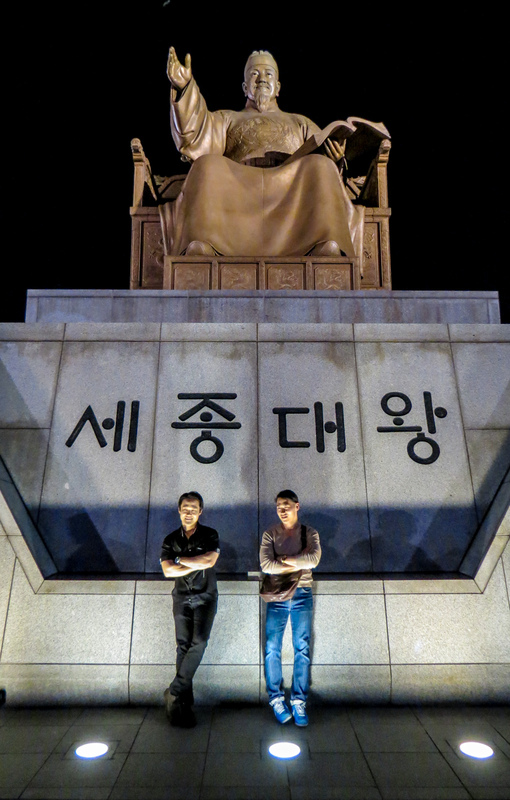 It has definitely added more soul to Seoul. 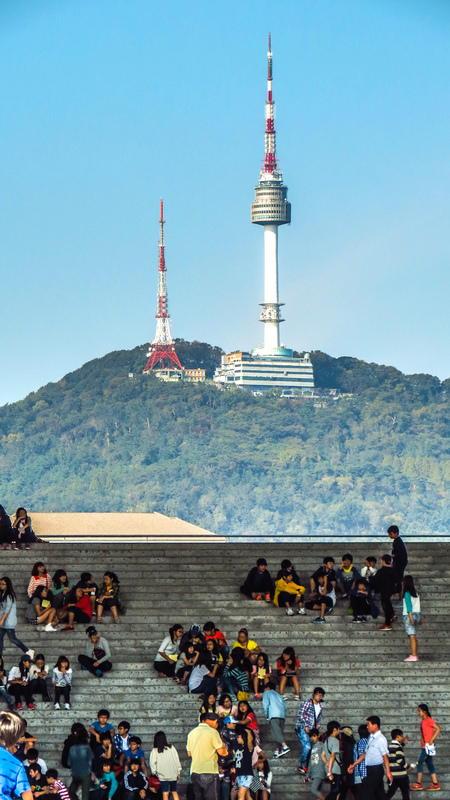 Seoul Tower sits aloft Namsan hill in Northern Seoul. 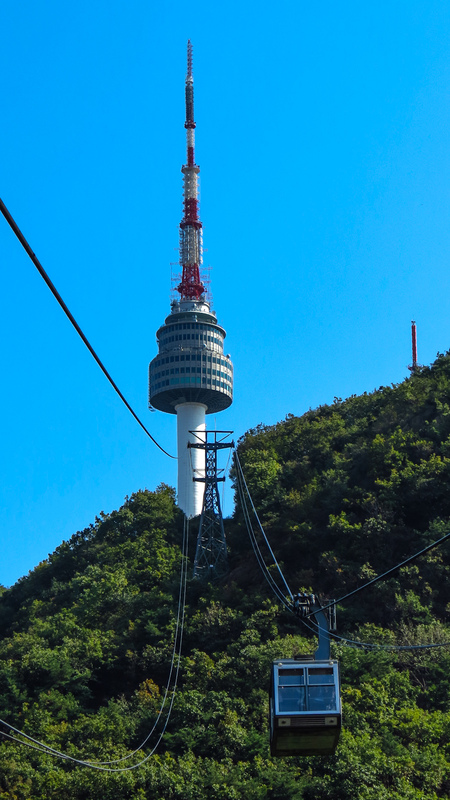 You access it by either an energetic walk up the mountain or let the technology take the strain and hop on board the Namsan Cable car. 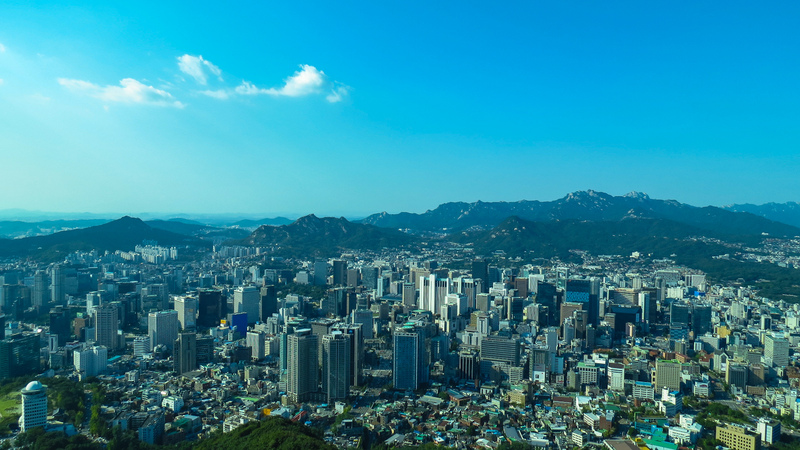 To get to the cable car entrance you take line 4 Subway train to Myeongdong station, take exit three and then look out for the free Cable car minibus which will whisk you up the 400metres to the cable car ticket office. 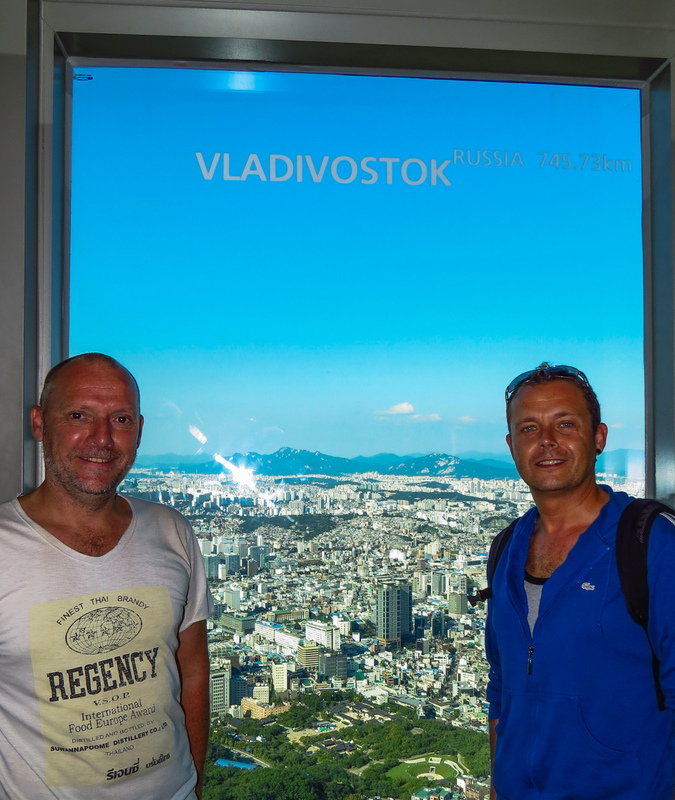 The ride costs 6,300 KRW for the return journey and the ticket up the tower will cost you another 7,000 KRW each. 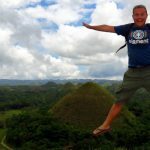 At the summit before you reach the tower there is plenty to entertain visitors. The views from here of the city are great and unlike at the tower viewing area you will not be shooting through glass with all those nasty reflections to contend with. 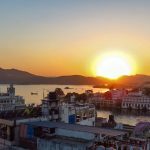 There are loads of places to buy souvenirs, snacks and drinks or treat yourself to a full meal at one of the restaurants. There is also a central plaza that has cultural performances at various times during the day. 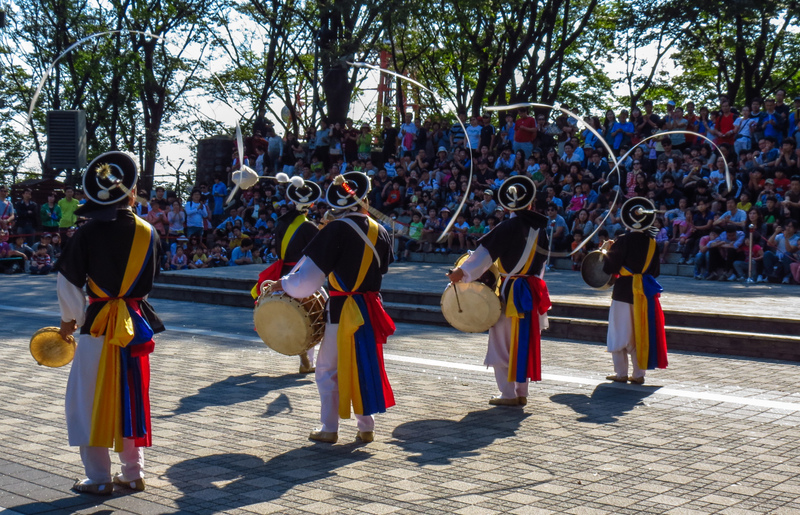 We didn’t know about these before we arrived, but caught one just as it was about to start and we witnessed some impressive spinning hat dancing pungmul nori (풍물) and medieval armoury skills for the hour long show. Quite a treat. There are plenty of museums to choose from in Seoul but we limited ourselves to just two. The National Museum of Korea on the day we went was full of Korean school trips, with kids running about the museum trying to find the answers to their question sheets. In between doing this, the children would shout their hellos and goodbyes at us, which was very sweet. They were a bit boisterous and the museum staff were getting a bit stressed with them running about the place. We found it great to see the museum being so well used, and didn’t mind that we didn’t get any peace. The museum building is impressive, vast and very modern. 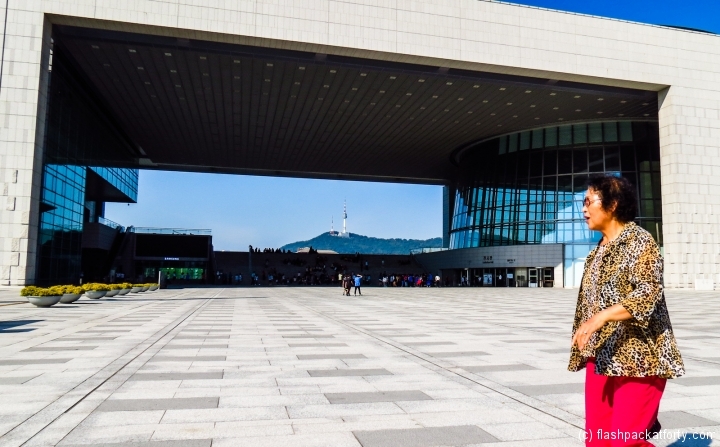 There is a huge open area in between the two wings that has views of Seoul Tower in the background. 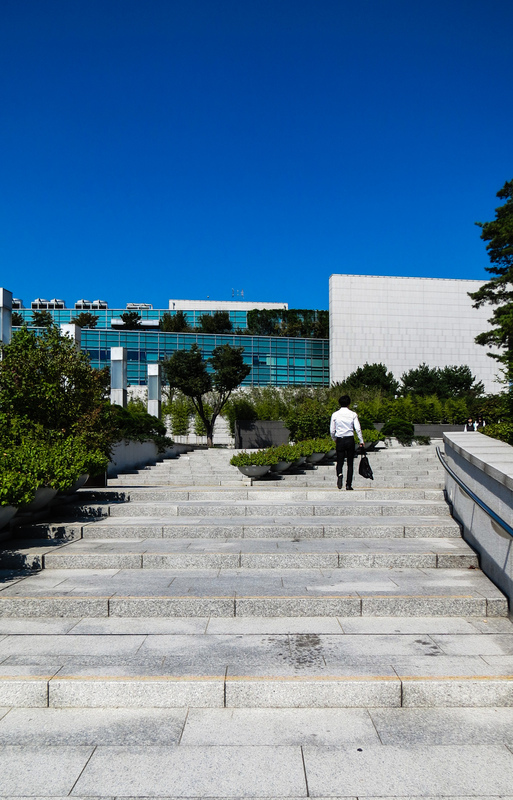 The surrounds also contain other exhibits and gardens which make the visit here not just about the contents of the glass, humidity controlled boxes inside the main buildings. 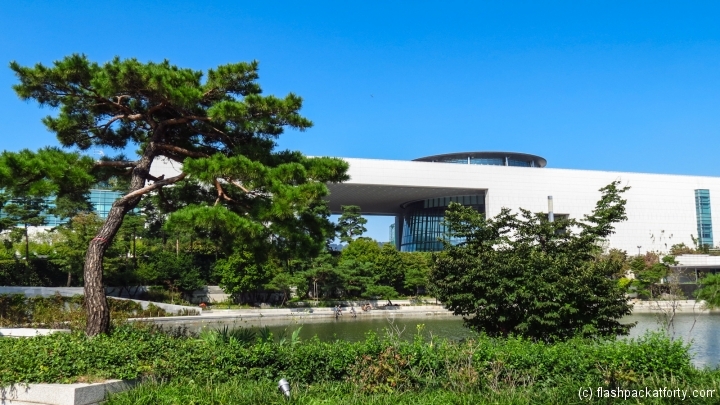 The museum is free to get in and will take you through the various Dynasties’ of Korea over the ages with their permanent exhibitions and will offer you additional temporary exhibits. While we were three we got to see some Mayan artefacts on display for the month. You can get there on Line 4 on the Subway to Ichon. 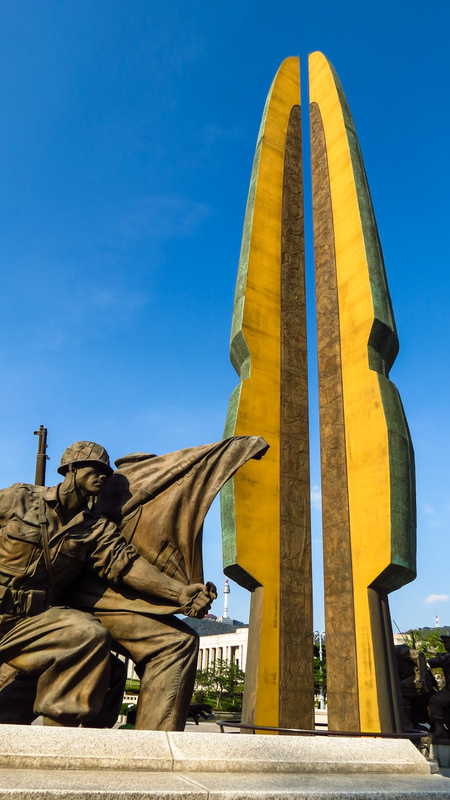 A short stop on subway Line 4 from the Korean National Museum to Samgakji and a five minute walk from exit 12 will get you to the Korean War Memorial Museum. 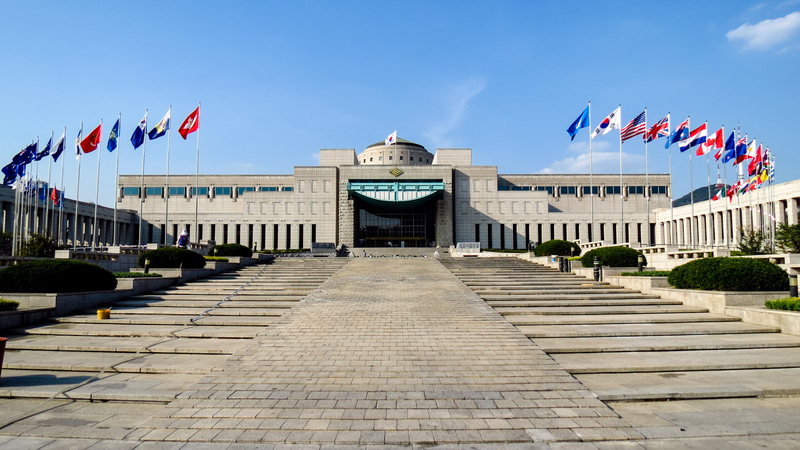 We really liked this museum, not because we are warmongers, but because the museum is really informative about not only the Korean conflicts (from mediaeval to the current conflict with North Korea) but also the part they have played in NATO led efforts over the years and in regional conflicts around Asia. The museum is going through some significant changes inside and we saw some of the exhibition rooms being finished off after recent multimedia installations and refurbishments , while others were closed while major renovation work was going on. The museum internally and externally also plays host to some very beautiful and poignant memorials for those that have fallen in conflicts over the years. 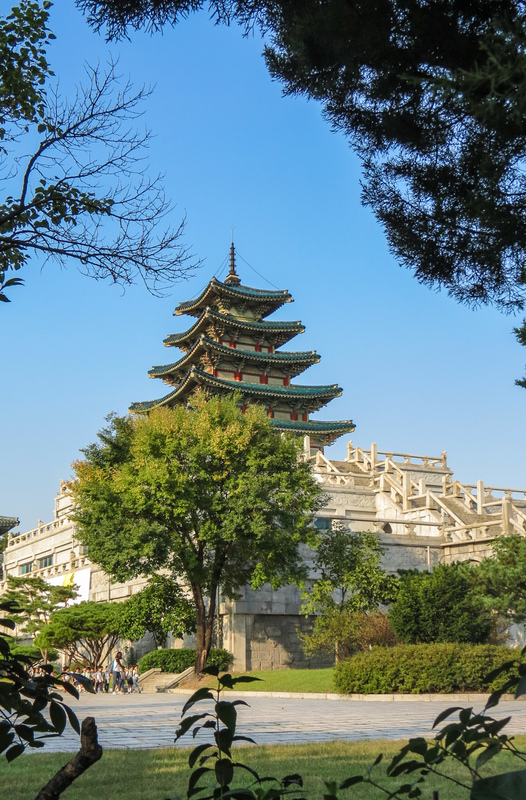 Internally there is the memorial hall which is a wonderful piece of art/architecture. 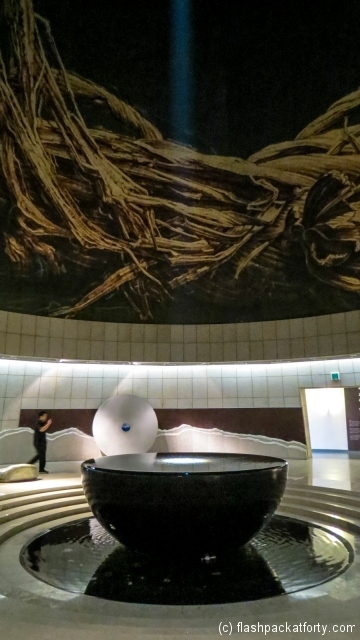 A water filled marble bowl sits on the floor in the memorial room and sunlight is refracted and filtered down onto the surface of the water. It’s a truly spectacular piece. 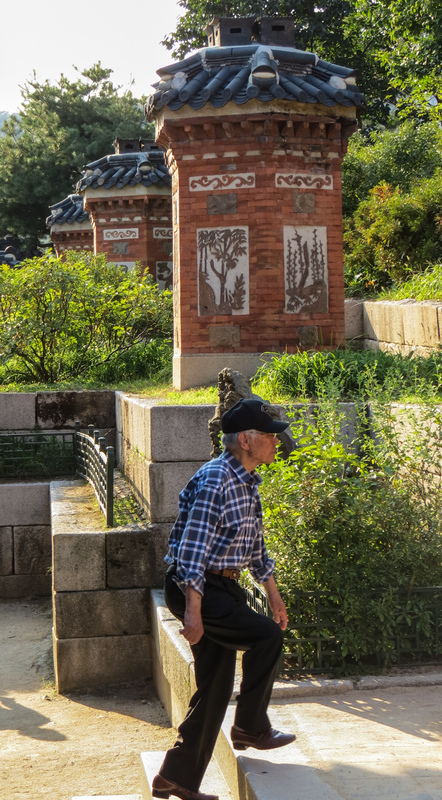 Externally the ‘Korean War Memorial’ and the ‘Statue of Brothers’ are wonderful pieces of public sculpture amongst which names of Korean soldiers who have lost their lives have been engraved. 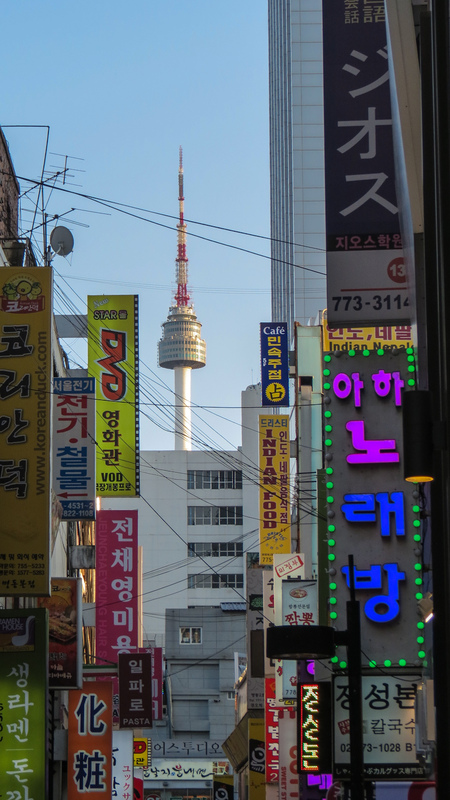 One of the things we’ve enjoyed in Seoul is wandering around its markets. 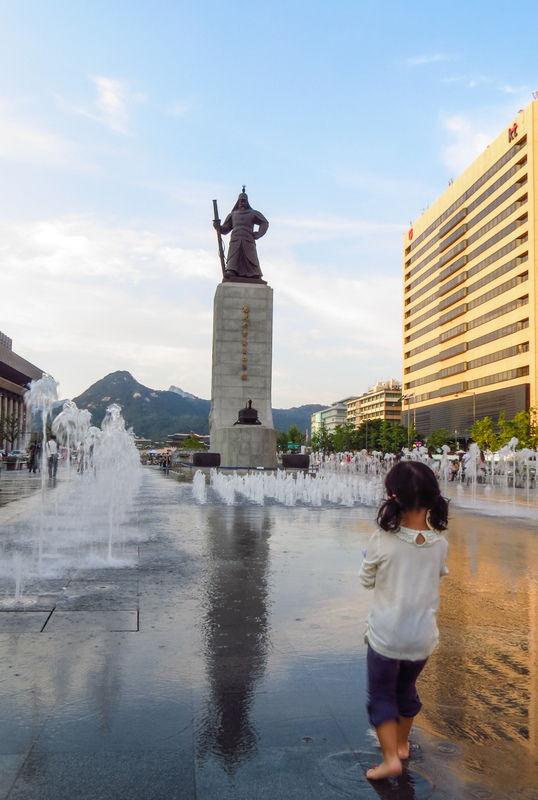 The two main markets of Namdaemun and Dongdaemun are entertaining. In our view, a much more interesting market is KwangJang Market in Jongo which is a must if you enjoy eating out. Our biggest pleasure in Seoul has been the food, whether on the street or in a restaurant. 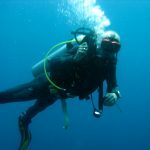 Not because there isn’t anything better to do, there are loads of events and activities to cater for all tastes around the city. But for us Korea’s best attraction are its people. 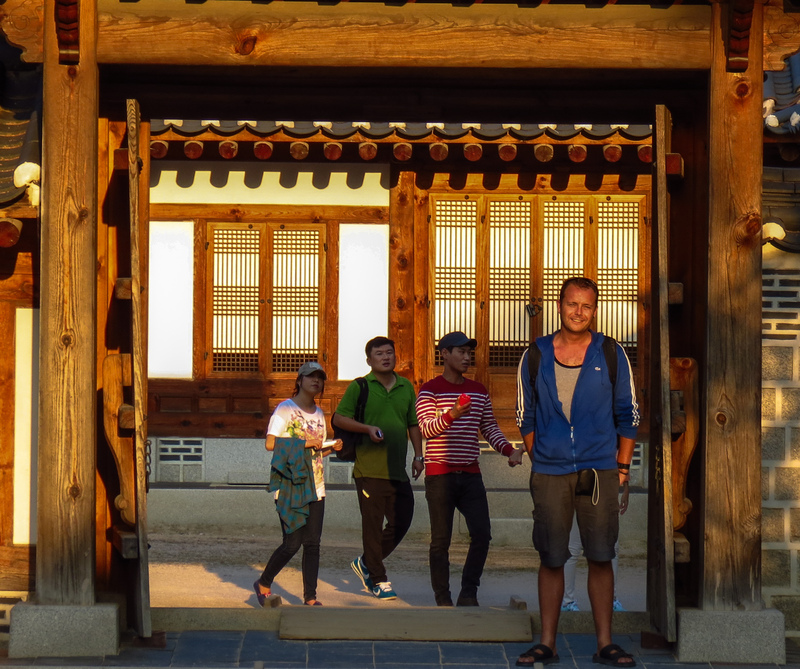 Korean’s are incredibly sociable people, kind and very generous. They will politely enter into conversation at every opportunity. It seems like whenever we dine, we’ve been offered free food and drink from our host or people we’ve started chatting with. Its polite to reciprocate this generosity by offering who is ever serving you a token small glass of whatever your drinking. 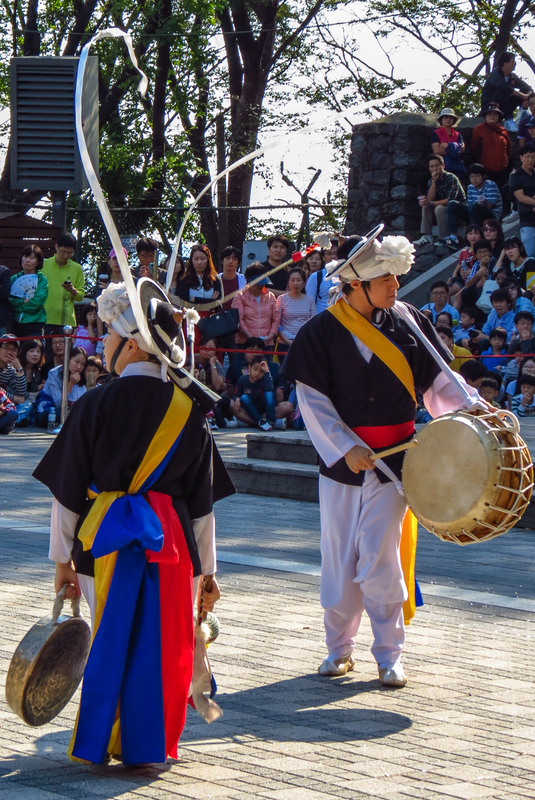 Thankfully this has allowed us a great insight into Korea due to the many generous people who have taken their time to explain parts of this fascinating culture. Korean’s have shared their precious time with us everywhere we have been in Seoul and its made our time here that much more special. Thank you Korea. 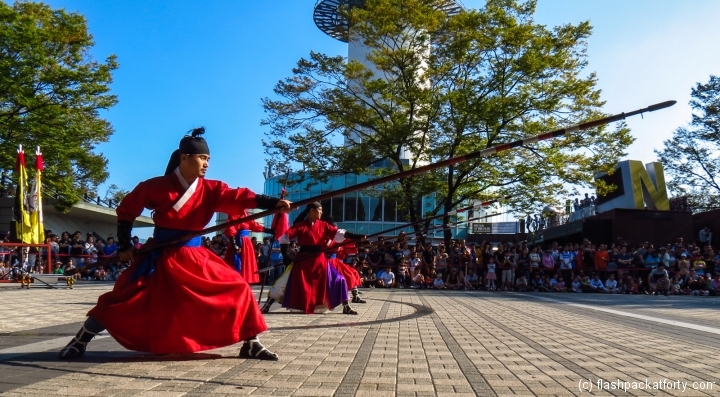 3 Comments on "South Korea: Seoul Attractions"
what a wonderful post! 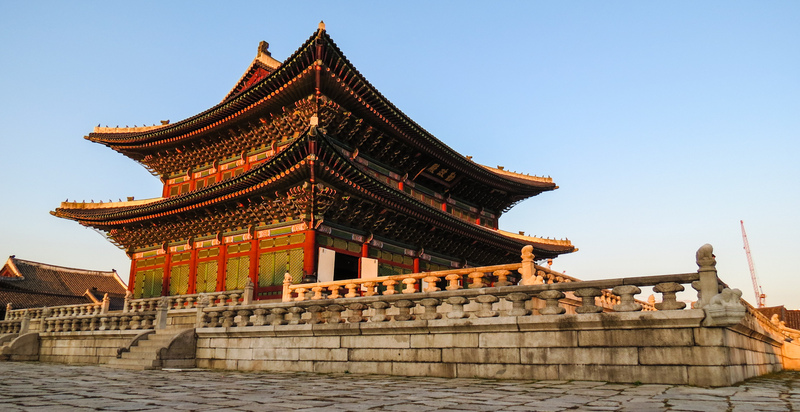 I keep seeing South Korea articles pop-up… Funny, as I’m waiting to hear back from a job application I submitted last month. If I get it, I would be moving to Korea next year! Exciting stuff. Will bookmark this article in case I end up making it there 😉 Loved the photos, too! Good luck with the job application. Korea is definitely one of our favourite destinations in SE Asia. It is also somewhere we would happily consider living and working.